Debate and controversy concerning the issue of climate change generally results in the hindering and obstruction of social and governmental action on this issue. This paper analyses the scientific background, i.e. the reference list of the IPCC Fifth Assessment Report ‘‘The Physical Science Basis’’ and an alternative climate change report of a US think tank institute ‘‘Climate Change Reconsidered II. Physical Science’’. We compared these two reports to the antecedent reports from 2007 (IPCC AR4 WGI) and 2009 (Climate Change Reconsidered). For the purposes of the study, we developed a database containing all the references collected from the four reports. The bibliometric analysis focused on the distribution of references among peer reviewed scientific journals and the most frequently cited lead authors that created the basis for the evaluation of their different scientific emphasis. Our findings underline that there is still no convergence between the scientific literature of the IPCC and the contrarian reports; however, the remarkable quantitative development on both sides and the qualitative progress of the IPCC report allows us to draw somewhat surprising conclusions in the context of climate change science. Contrary to expectations, controversy is beneficial to the science of climate change as it fosters the review process on both sides of the debate. 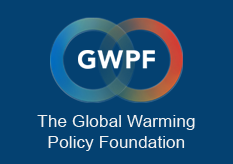 Controversy over climate change came face-to-face with the parallel publication of the Intergovernmental Panel on Climate Change Working Group I. Fifth Assessment Report (hereafter: IPCC AR5) and the ‘‘Climate Change Reconsidered II. Physical Science’’ (CCRII) written by scientists of the ‘‘Nongovernmental International Panel on Climate Change’’ (NIPCC) and published under the umbrella of several ‘‘climate sceptic’’ enterprise like the Center for the Study of Carbon Dioxide, Science and Environmental Policy Project and the Heartland Institute. The latter seems to be one of the most influential climate change denial think tanks in the United States (Boussalis and Coan 2016; Dunlap and McCright 2015). Climate change debate in society and politics is under ongoing scientific investigation. This emphasizes its role in science, public perception issues, political and scientific discourses, and media communication (e.g. Abraham et al. 2014; Cook et al. 2013; Dunlap and McCright 2015; Grundmann 2015; Hampel 2016; Medimorec and Pennycook 2015; Pearce et al. 2015); unsurprisingly, the body of literature containing scientometric approaches is also growing in this field (Nordlund 2008; Bjurstro¨m and Polk 2011a, b; Vasileiadou et al. 2011; Marx et al. 2017). However, the explicit confrontation of the opposing sides or the differences between their scientific endeavours (e.g., Benestad et al. 2016; Ryghaug and Skjølsvold 2010), has received little attention, and has barely been studied. In this paper, we compare the reference lists of IPCC AR5 and CCRII and include their antecedents in the analysis: the IPCC WGI Fourth Assessment Report (hereafter: IPCC AR4) and ‘‘Climate Change Reconsidered’’ (CCR). Following the authors’ publication, which addressed the scientometric and rhetorical comparison of the IPCC AR4 and CCR report (Janko´ et al. 2014), the main question of this study was whether there were identifiable changes in the scientific grounds of the newer publications. We sought answers to our question by addressing the changes in the most important scientific journals, in the proportion of the identical references and among the most frequently cited lead authors. Summing up, this study provides some evidence that there are interesting bibliometric perspectives in the comparison of IPCC and contrarian climate sceptic reports. The use of literature and citations as tools of legitimation play an important aspect in the climate debate, thus the role of bibliometric studies could be decisive here. Our analysis revealed that the reference lists seemed to be quite similar on the level of the cited journals, but only at first glance. The cited references and the key authors barely overlap, which shows the prevailing gap between the two sides. The task is obvious: there is a need to solve the discrepancy and scrutinize the reference material of the NIPCC because several studies report dominant consensus in the literature and non-detectable rejection of anthropogenic climate change theory (cf. Benestad et al. 2016; Cook et al. 2013; Tol 2016). In light of our results, we argue that the quantitative development of the reports arises not only from the booming development of the field, but from the competitive situation created by the publications of the NIPCC reports. This is beneficial for climate science in general; it fosters knowledge creation, i.e. the reviewing process, mobilizing a growing number of references into review. Nevertheless, without an explicit dialogue between the reports, there is no chance to mitigate climate change controversy itself.